$2.50 each and $7.50 for 3 pack. 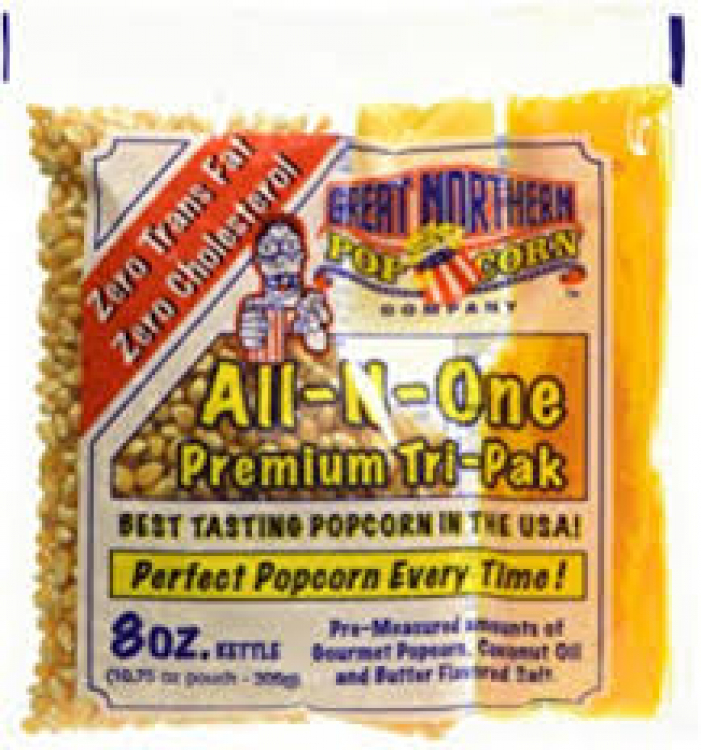 All in one premium 3 pack of popcorn. Zero trans fat with extra fine buttery flavored seasoned salt and sunflower coconut oil. 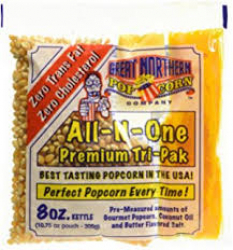 This is the same popcorn used at Major League baseball games and movie theaters. Each 3 pack has15-30 servings or think about having at least 1oz per bag, per person for easy math!